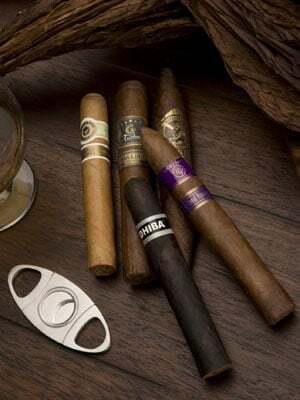 In 1996, founder Alan Rubin claims that he knew nothing about cigars except for how to clip the end and which end to light. It was passion that encouraged him to invest his life into the business and create Alec Bradley Cigar Company. Fast forward to now: after several 90+ ratings, awards, and a cult-like following, Alec Bradley continues to make cigars in pursuit of one goal: to give you, the cigar smoker, an unforgettable experience.. Released in 2015, the Montecristo White Vintage is the follow-up to the highly rated White Label. The White Vintage features a stunning US-grown Connecticut Shade wrapper from 2008, a Nicaraguan binder, and a three-country blend of long-fillers from Peru, the Dominican Republic, and Nicaragua. Mild to medium in strength, this easygoing blend will lend notes of hazelnut, vanilla, coffee, and spice that is smooth to the nub. Villiger Sons Limited was founded by Jean Villiger in 1888 in the small Swiss town of Pfeffikon where their headquarters remain to this day – we think it’s safe to say that after 127 years, they know a few things about crafting high-quality cigars. The Villiger La Capitana is no exception. This authentic Nicaraguan puro starts with a bold mix of Nicaraguan long-fillers, a Nicaraguan binder, and is finished with a luscious dark chocolate..